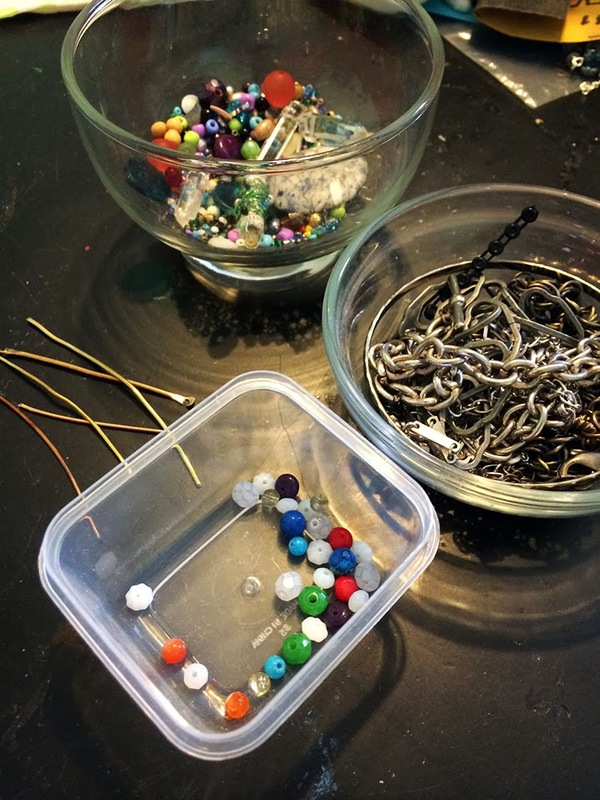 Heather Powers of Humblebeads has challenged jewelry-makers to get their mojo back. 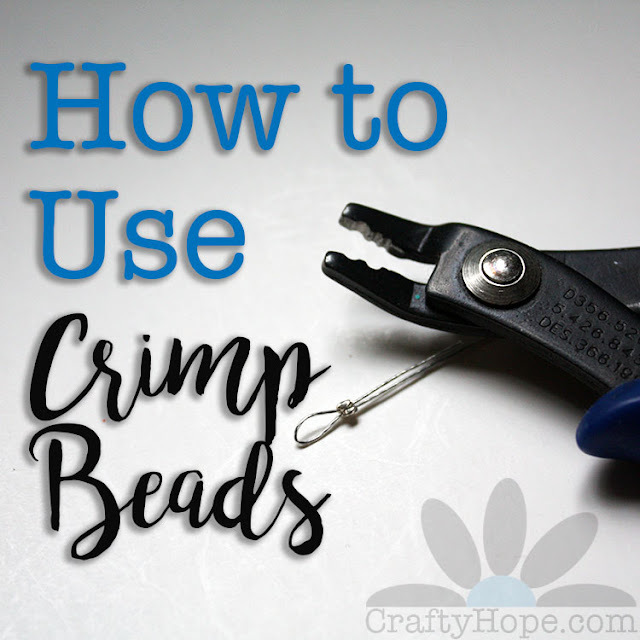 Each week she'll offer up another way to get those creative juices flowing and share what they create. Today's she's revealed week three's challenge, but I've yet to reveal what I made for week 2. . .because it's not all done yet. I figured I might as well go ahead and show what I've mostly completed. 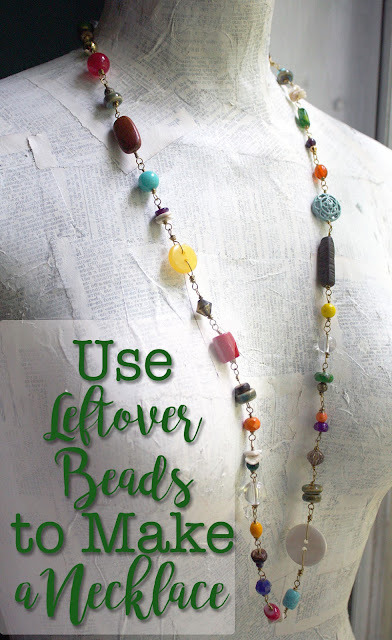 Week 2's challenge was to use some of your bead soup. On Wednesday, I showed you what I was working with. Here's what became of it. I made a couple of small bracelets for a friend's kindergartener who's a bit obsessed with bracelets right now and needs some of her own. 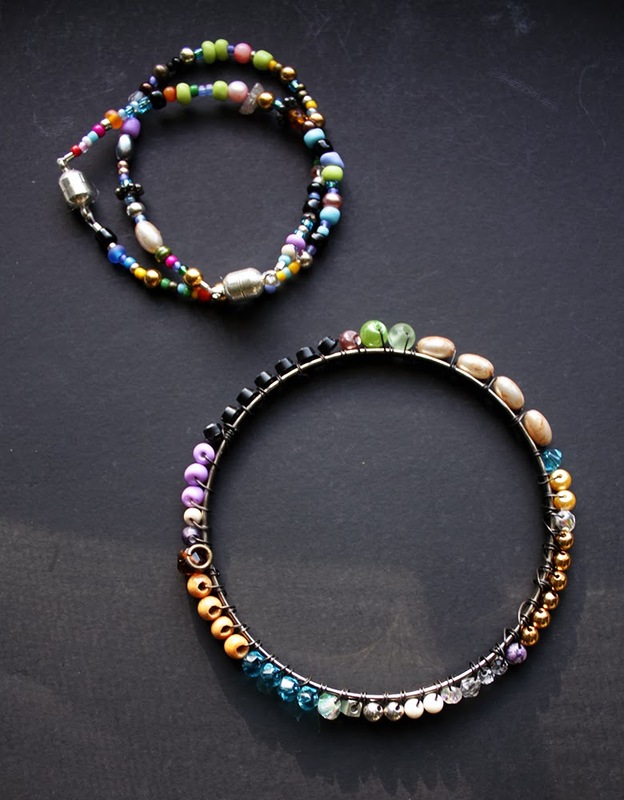 As well, I wire wrapped rhinestone chain and loose beads from my soup around a bangle that was just laying around. 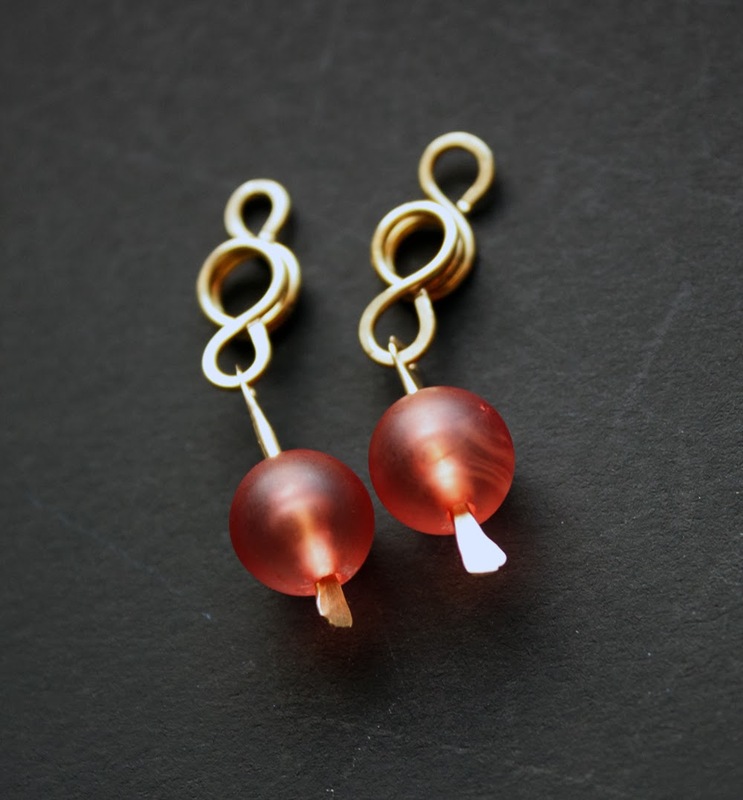 With the extra wire and some of the beads in my soup, I created these earrings. They still need ear wires, but that's in the works. As well, I used some of those short lengths of chain to create a chain tassel pendant. 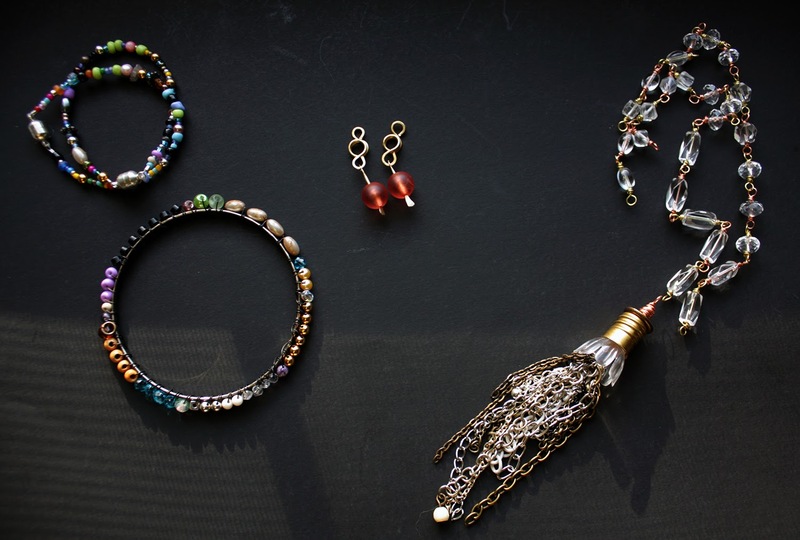 However, the beaded chain for it is not quite done yet either. I think I'm feeling that mojo for sure and am enjoying these challenges, as I do enjoy most challenges. 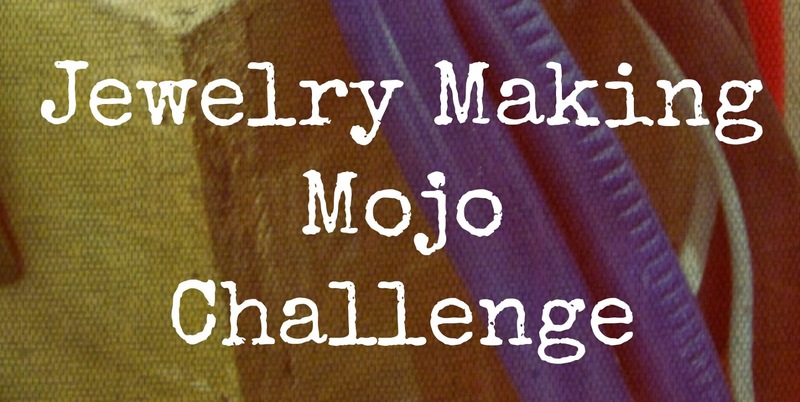 Jump in on the fun and check out Week 3 of the Jewelry Making Mojo Challenge!